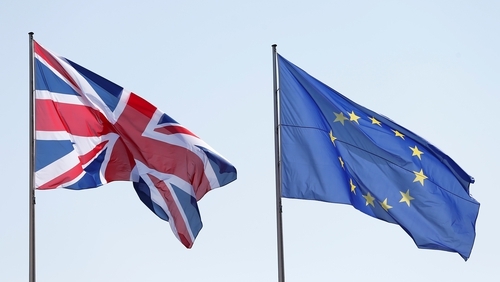 The European Union will grant the UK another delay to Brexit with conditions, including holding European Parliament elections, according to draft conclusions of the bloc's national leaders due to decide on the matter tomorrow. It would cut Britain off on 1 June if it failed to honour that condition. According to the draft the EU will agree "an extension to allow for the ratification of the Withdrawal Agreement". It could be cut short if both the EU and the UK ratify the Brexit deal before it runs its course. "If the United Kingdom fails to live up to this obligation, the withdrawal will take place on 1 June 2019," the draft said. "The United Kingdom shall facilitate the achievement of the union's tasks and refrain from any measure which could jeopardise the attainment of the union's objectives." The draft conclusions, however, have for now left the end-date of the Brexit postponement blank before national EU diplomats discuss them. Several EU diplomats said that the 12-month extension proposed by European Council President Donald Tusk, who will chair the summit tomorrow, was unlikely to fly and several member states have agreed with France that that would be too long. Instead, they said that the Brexit lag could go until the end of the year but that the 27 national leaders in the bloc would have the final say tomorrow. The British Prime Minister, who spent the day holding talks with French president Emmanuel Macron in Paris and German Chancellor Angela Merkel in Berlin, has been making the case for a delay until 30 June. However, in a letter to the heads of the 27 remaining member states ahead of a crunch summit tomorrow, Mr Tusk said there was "little reason to believe" that the ratification of Mrs May's beleaguered Brexit deal could be completed by the end of June. He suggested that the EU would grant an extension rather than allowing Britain to leave without a deal on Friday, saying that, given the "risks posed" for those on both sides of the English Channel, "I trust that we will continue to do our utmost to avoid this scenario".